Laurelle Neugebauer’s trip to Timor-Leste is part of our efforts to support and encourage young Australians in study, careers and volunteering in international agricultural research, our Crawford in WA International Agricultural Student Awards will be supporting 14 Australian tertiary students to gain international agricultural research experience and expertise. Laurelle Neugebauer, an International Relations student from Curtin University, recently travelled to Oecusse in Timor-Leste where she undertook a six month internship with the United Nations Development Program with support from the Crawford Fund as a successful applicant of the Fund’s International Agriculture Student Awards. Laurelle aimed to explore non-traditional security with a particular focus on the Food-Water-Energy Nexus and how this impacts the development of countries such as Timor-Leste. Timor-Leste is Australia’s closest neighbor, and the fourth most hungry country in the world. Most of the population (70 per cent) lives in rural areas, with forty per cent of the population living in poverty and 30 per cent of the population lacking access to clean drinking water. Timor-Leste is also heavily oil-dependent, the second highest oil-dependent country in the world behind South Sudan, with oil reserves accounting for 90 per cent of the country’s revenue, and depletion of these reserves predicted by 2021. Laurelle’s internship involved working with members of the Ministry of Agriculture and Fisheries and staff from the United Nations Development Program within the UNDP’s Agribusiness Development Project. This Project focuses on alleviating the main constraints for rural development and ensuring rural communities have adequate food, either directly from agricultural production, or through other employment and entrepreneurial activities to further their livelihood sustainably. To fully assess the constraints of farming and food production in Oecusse, Laurelle’s role was to formulate a specialised territory value chain which could educate farmer Extentionists (liaisons between farmers and ministry) on how to map out the regions most nutritious and profitable products to guide information gathering and the analysis of the various development constraints. Initially her focus was on understanding a value chain for the farmers and understanding the history, culture, economy and politics of the region. Then the focus was building the capacity of 300 small farmers by focusing on four sectors – nuts and seeds, beans, livestock and horticulture. As part of this process, Laurelle met with a group of five men who harvested mungbeans, which provided her with invaluable insight into the complexities of rural agribusiness development. They were located in a remote mountainous region with lakes to cross, were dislocated from their families because of past Portuguese and Indonesian occupation, and lacked adequate transport for their rice and mungbean cash crops. 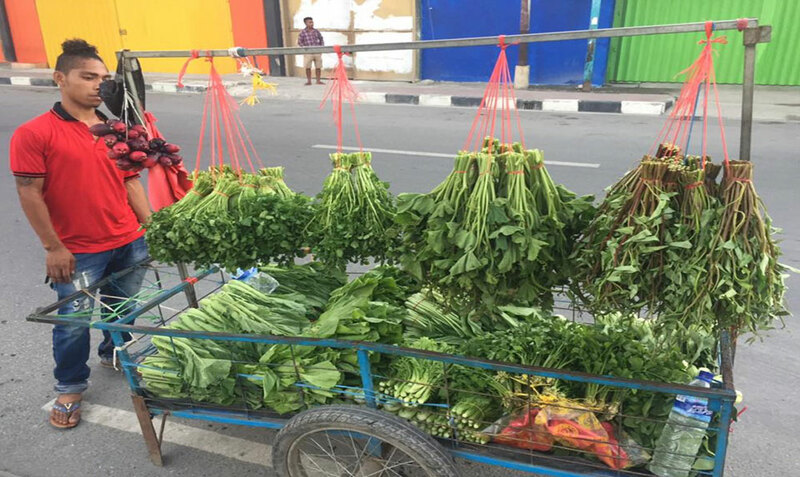 They usually use the local truck which allows for 50kg however, they are producing 70kg and stated they could produce more with better use of transport. “Throughout my visits to many other farmers and associates I grew to understand the large complexities faced by these people. This was often confronting whether their constraints were related to colonisation or current issues such as climate change,” said Laurelle. Between Oecusse and Dili, Laurelle assisted in consultations with various supermarkets to gauge their interest in buying products from the chosen 300 farmers. This was often difficult as most supermarkets felt the local production was underdeveloped, unreliable and too costly compared to cheaper imports from Indonesia. 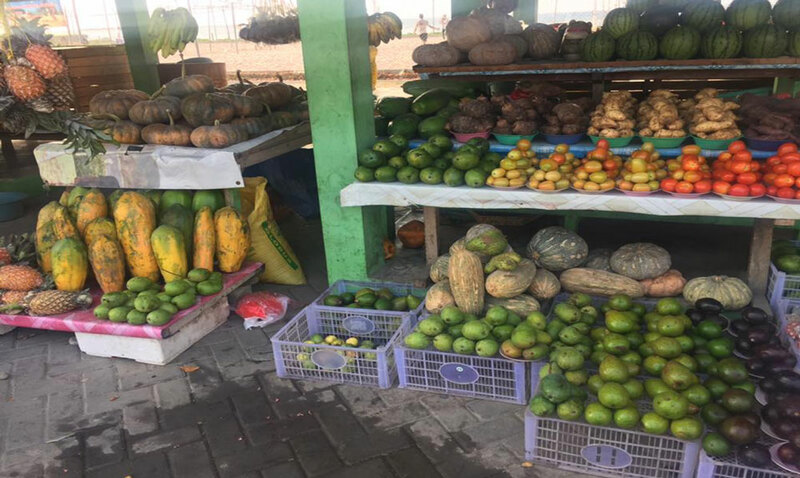 The second challenge was in trying to connect these farmers to markets in Dili, however, Dili is already suffering with an oversupply of subsistence farmers who either sell their products at the local market or are more mobile. “This taught me to understand the indirect and direct challenges for not only subsistence farmers but also governments, NGOs and other organisations with a focus on development. This challenge helped me understand the importance of not only economic development but social structural reform towards embracing and empowering locally produced products,” said Laurelle. Laurelle also had the opportunity to assist a Doctor from the World Health Organization to draft a project proposal focused on improving malnutrition with a nutritional sensitive agricultural production approach. This task required travel around Dili meeting with local NGOs who were focused on combating food insecurity and gather information on best practices models. Following these meetings, Laurelle was able to utilise research and practical understanding of food security gardens and draft a project proposal for the UNDP in Oecusse involving the establishment of a food security garden which would allow children and young mothers to visit, assist with planting, and share best practices methods. On reflecting on her experience, Laurelle said, “This experience has been exceptionally rewarding both on a personal and professional level. I am eternally grateful to the Crawford Fund for providing me with the support to further my interest and passion in this area… I hope to continue my work and contributions in the field of sustainable development with a special focus on food-water-energy insecurity and eventually run my own NGO in addressing these acute constraints,” said Laurelle.